Whether it's an innocuous-seeming cherry or the more obvious culprit of wine, food and drink have been blamed for the deaths of various notable figures over the years. In the interests of public safety, here are 10 unusual eating-and-drinking-related deaths and the ingredients that are to blame. Don't be surprised if this makes dinner seem much more ominous. Lampreys are an ancient variety of fish akin to an eel, and the slippery fellows have been blamed for the death of one of England’s kings. 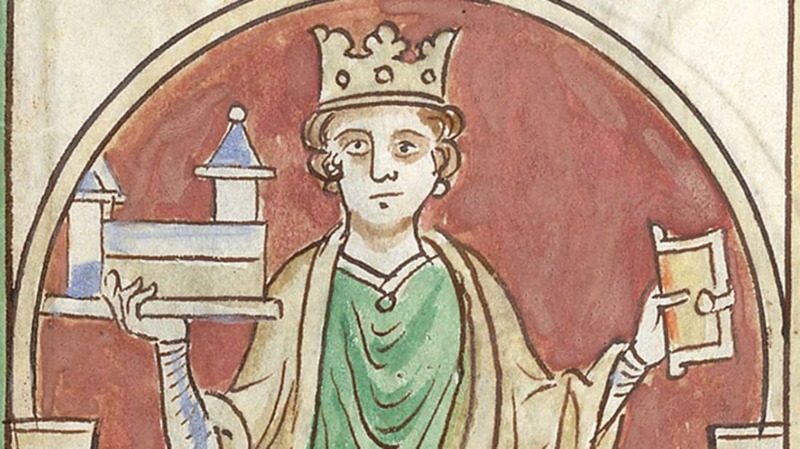 Henry I (c.1068—1135) was the youngest son of William the Conqueror, and lived into his mid-to-late sixties. As with most kings of this period he enjoyed a good feast, and one evening, against the advice of his doctors, he indulged in a large portion of lampreys (reportedly one of his favorite dishes). Henry fell ill and died soon after, forever tying his fate to that pesky final plate of fish. Eighteenth-century French philosopher Denis Diderot was fond of his food and on occasion was known to overeat. One evening in 1784 as Diderot dined with his wife, he reportedly reached for an apricot with which to conclude his meal. His wife, concerned for his health, scolded him for eating too much, and he replied: “But what the devil do you think that will do to me?” Diderot died just moments after consuming the fruit (and we can picture his wife desperately trying to prevent herself from shouting out “I told you so!”). King Adolf Frederick of Sweden was a famous glutton and died after consuming an enormous final meal in 1771. The occasion was Shrove Tuesday (or Mardi Gras), the last big feast before the austerity of Lent. The 60-year-old monarch put away a meal of lobster, caviar, sauerkraut, kippers, and champagne—so far, so normal—but then he decided to finish off with the traditional Swedish dessert of semla, a cream-filled bun, served in a bowl of milk. However, Adolf Frederick did not stop at one or even two buns—he ate 14 cream-filled buns. It comes as no great surprise to learn he ended up with terrible indigestion and possibly food poisoning, which ultimately killed him. Roman Senator Lucius Fabius Cilo was one of the most wealthy and influential men in Rome during the 2nd century, but he met his end in a rather unedifying fashion. According to legend, the senator died during a feast after he choked to death on a single hair in his cup of milk. On a blisteringly hot July 4, President Zachary Taylor attended the national celebrations before walking back to the White House along the Potomac River. Arriving home hot and bothered, Taylor drank copious glasses of iced water and milk and ate a great deal of cherries. Soon he was doubled over suffering from extreme stomach pains, and he took to his bed. For five days Taylor lingered on in agony, until on July 9 he died, the official cause of death described as cholera morbus—an infection of the small intestine. However, historians have also suggested the president could have been felled by gastroenteritis caused or aggravated by the acidic cherries, or by food poisoning (still other theories suggest typhoid fever). Eustace IV was the 12th-century Count of Boulogne and heir apparent to the English throne, since his father, Stephen, was king. However, Stephen had been engaged in a long battle with his cousin Matilda and her son Henry, who also claimed to be heir to the English throne. Eustace was not greatly liked, and having recently sacked a sacred monastery at Bury St Edmunds, no one was surprised when during dinner he choked on a plateful of eels and died. Rumors abounded that he may have been poisoned, as his death conveniently paved the way for a peace between the warring parties and for the crown to pass from Stephen to his nephew, Henry II. In 1154, Nicholas Breakspear was crowned pope as Adrian IV, becoming the only Englishman to ever hold the post. Contemporary reports suggest that Adrian died suddenly after choking on a fly that had landed in his wine. Some modern historians cast doubt on this story, in part because it seems such an unlikely way to go, and instead propose he died of an inflammation of the tonsils. Marty Feldman was an English comedy actor famous for playing Igor in Young Frankenstein. He died in Mexico City in 1982 after filming for Yellowbeard. Feldman suffered a massive heart attack that his friend, filmmaker Michael Mileham, claimed was the result of eating some bad shellfish that had given both him and Feldman food poisoning. Danish astronomer Tycho Brahe reportedly died after sitting through a lengthy royal banquet with a very full bladder in 1601. Brahe felt that excusing himself from the table to pee would be an unacceptable breach of etiquette, so despite his discomfort he remained sitting, continuing to eat and drink until his poor bladder could take it no longer and it ruptured, causing his death 11 days later. In 2010 tests were carried out on Brahe’s remains which put to rest rumors that he had been poisoned with mercury by his pupil, Johannes Kepler (who would go on to be a famous astronomer himself). The tests showed no unusually elevated mercury levels, indicating that his death was likely indeed caused by a bladder infection, as Kepler had originally reported. In March 1626, the elderly philosopher and statesman Sir Francis Bacon was traveling home to St. Albans in a coach when he decided to test his theory that freezing food could preserve it for longer. Bacon stopped the coach and purchased a chicken from an old lady in Highgate Hill, which he then slaughtered, plucked, and proceeded to stuff with snow. Unfortunately, this exposure to the cold and wet caused Bacon to contract pneumonia, from which he died some days later. A number of rather dubious reports have suggested that a ghost of the fateful chicken returned to the site of its death at Pond Square in Highgate, and still occasionally appears to unwary passers-by, running around in circles and flapping its plucked wings.